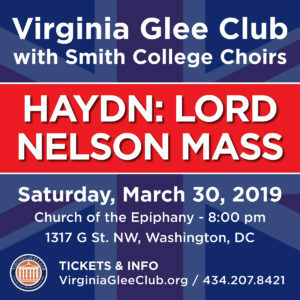 Join the Virginia Glee Club and the Smith College Choirs for what will be a remarkable performance. The collaborative concert will be held at the Church of the Epiphany in Washington, D.C.
$10, General Admission. Tickets are available online NOW!